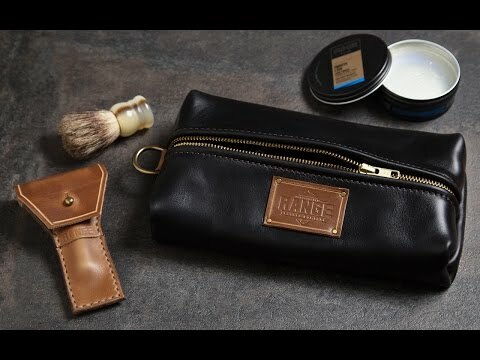 Based on a traditional dopp kit, this handcrafted men’s travel accessory is scaled down to streamline bulk while providing enough room for essentials. 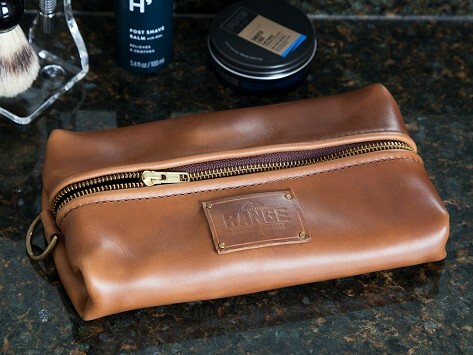 Full grain leather is pulled together with copper rivets and brass hardware for a traditional—and durable—finish. Dimensions: Out of Packaging: 9.5" x 6" x 2"; In Packaging: 11" x 6" x 2"